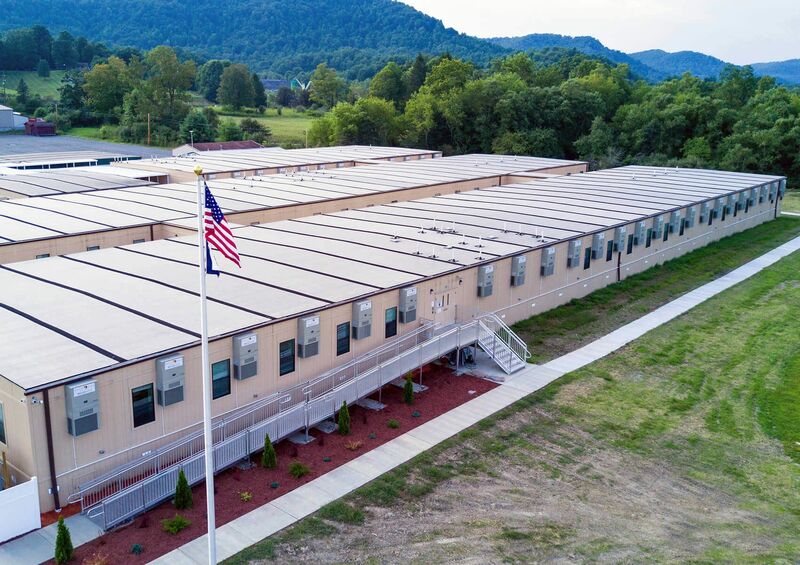 As a result of West Virginia flooding in June of 2016, a local community was in need of a school to serve its 500+ students. 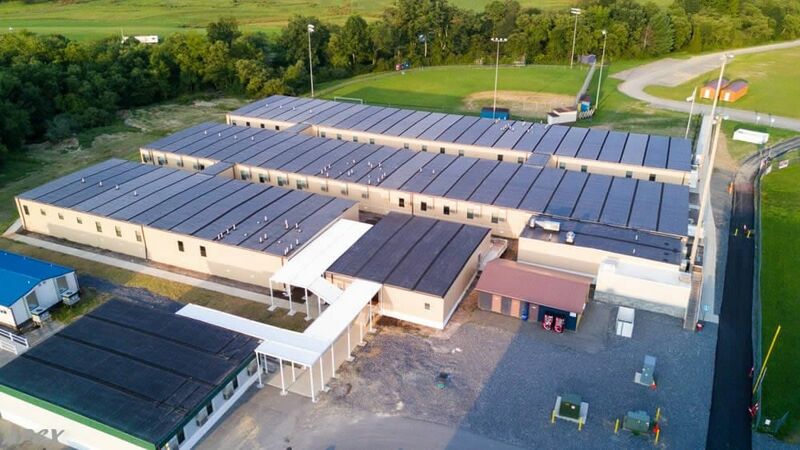 The existing middle school had been deemed a total loss by FEMA due to water damage. 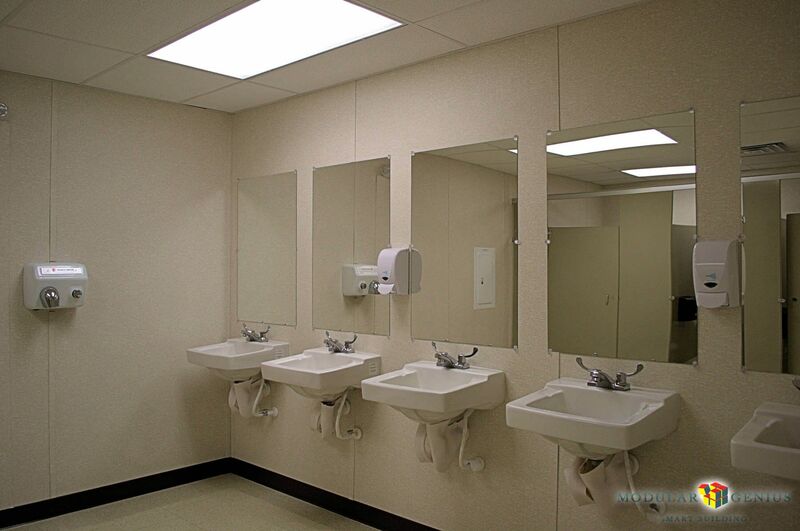 A concept design and site plan was provided by a local architect and Modular Genius responded immediately. 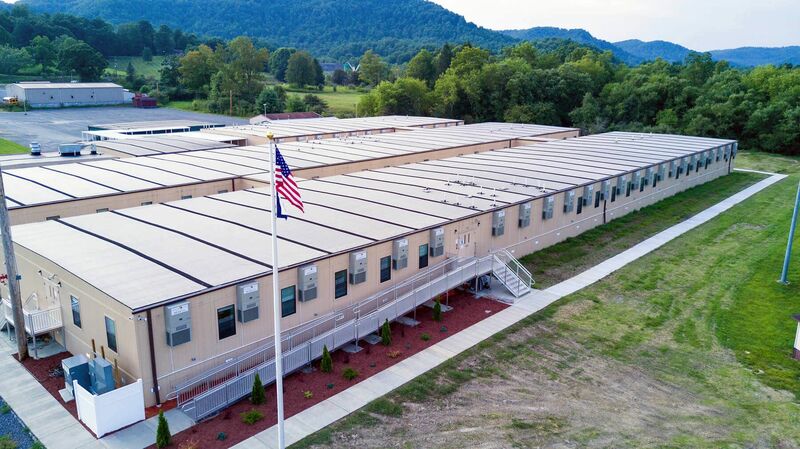 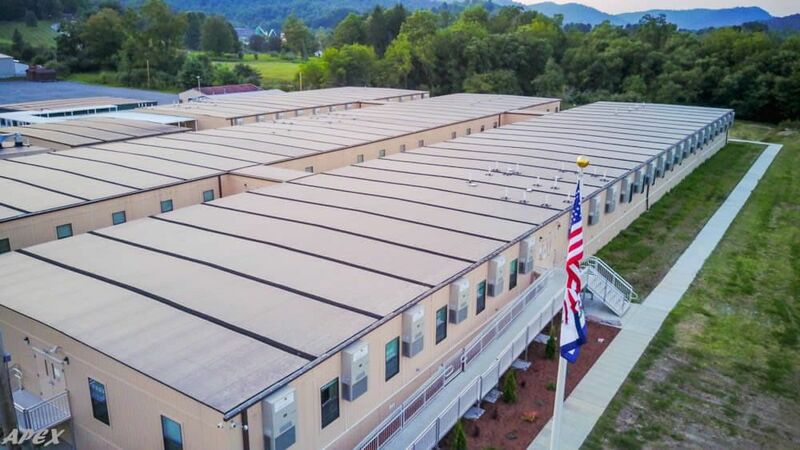 The classroom buildings totaled 55,456 sq ft, utilizing (5) modular complexes, ultimately culminating a total of 74 modular buildings. 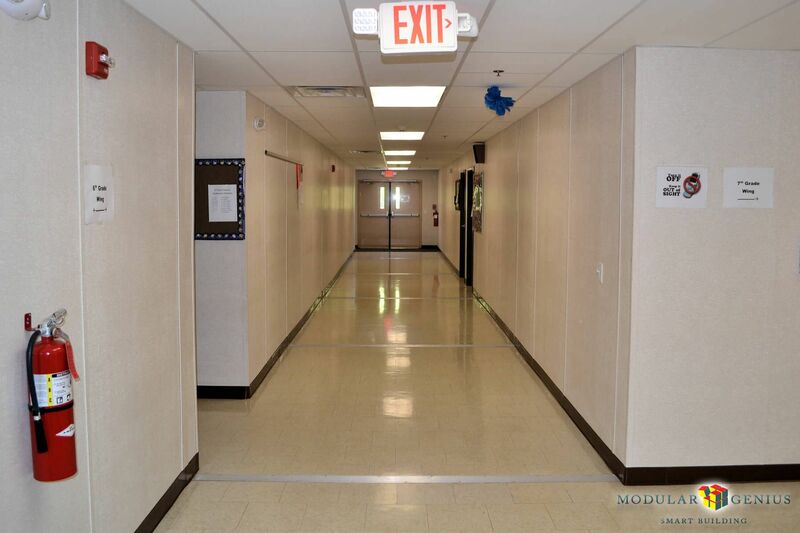 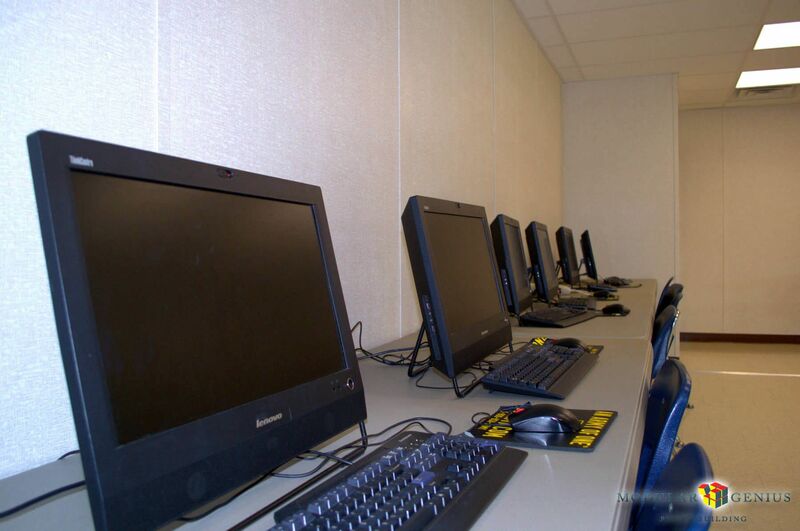 The new modular classrooms were designed to be functional, durable, & easily accessible for all students. 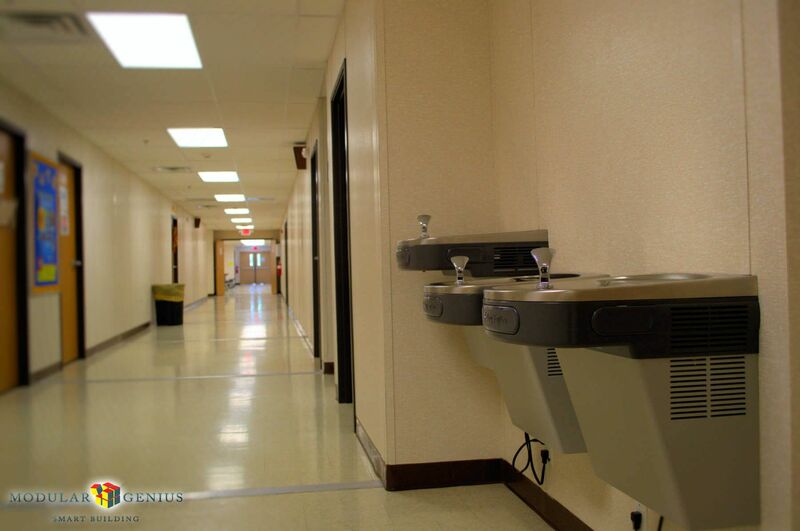 As such, ADA compliant decks, steps, ramps and a chairlift were provided. 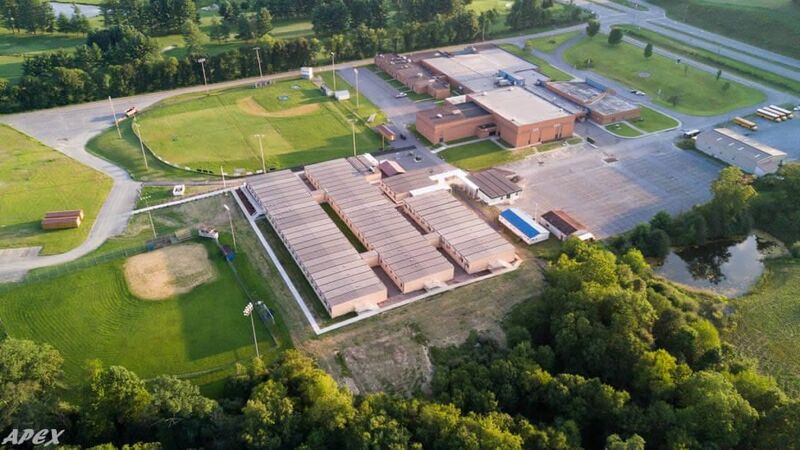 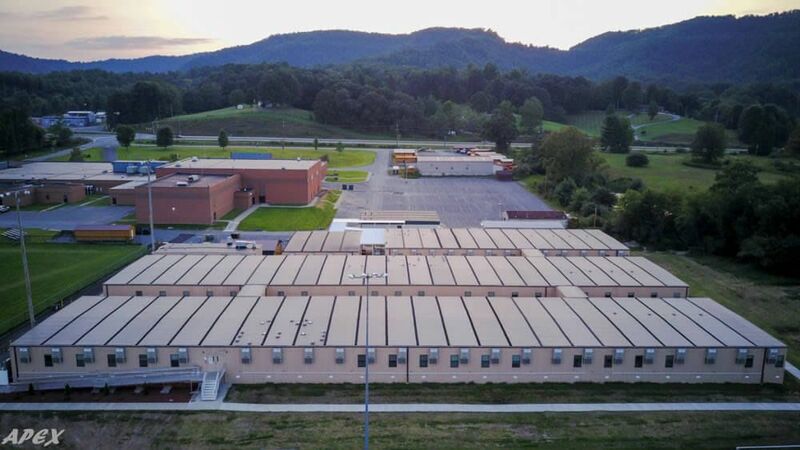 While the new modular middle school buildings were in production, it was determined that a full commercial kitchen would be needed to provide meals for the students. 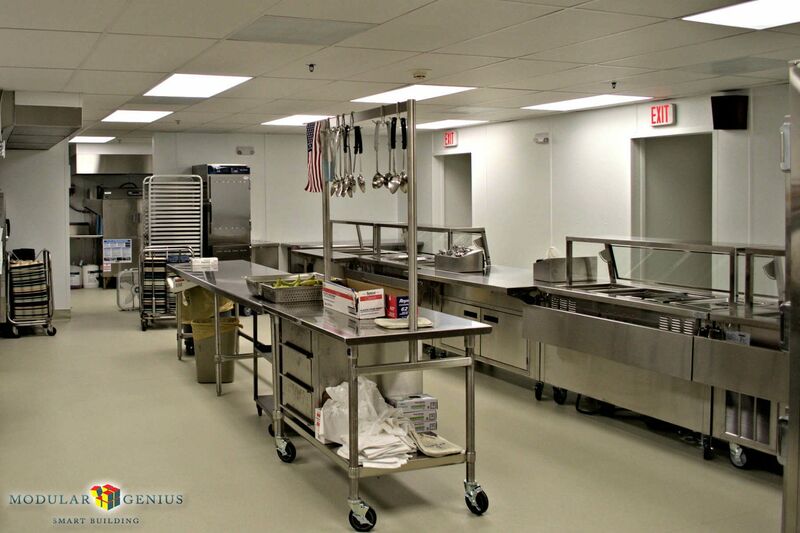 MGI quickly had to figure out how to add the commercial modular kitchen addition to the school by removing and re-installing several of the HVAC units on the cafeteria building to a revised location and making penetrations in to the cafeteria, whereby the two buildings would be connected via “connector links”.